The coaching process varies somewhat depending on whether the coaching is private coaching or sponsored by your organization. We’ll start with a 1-2 hour orientation. Depending on your location this can be completed in person or by phone. During the orientation, we conduct an in-depth career and personal history review, examine your values, set ground rules for the coaching relationship, help you identify and prioritize your goals and objectives, and take an in-depth look at the issues and challenges you currently face. Time frames for the coaching are estimated. Fee ranges are discussed and payment terms arranged. The first (and subsequent) coaching sessions are scheduled. The exact schedule is worked out is mutually arranged with you, the individual coaching client, and your coach. The coach is also available by email and short phone conversations in between sessions as needed. Depending on your objectives, we may conduct one or more assessments or use a diagnostic instrument to help you gain new insights into your strengths and skills (and blind spots), or to help you learn more about your management, leadership and communication styles and how you may be perceived by others. We may also conduct a 360 multi-rater assessment at this time, or review the results of a recent 360 you may already have. We may conduct a series of interviews with your supervisor, your peers or your direct reports (with your permission, of course) to gain greater insights into your strengths and vulnerabilities, and how you are perceived by others. You will receive the feedback from these assessments, interviews and diagnostics as soon as they are available and they may also be revisited later in the coaching process to maximize sustained progress. Other options may include shadow coaching, team coaching, and/or progress reports or joint sessions with your manager or supervisor, depending on your needs and interests. We will discuss and mutually agree on what success looks like for you, and what specific actions and changes you may wish to make to achieve your goals. We jointly craft an action plan and timeline for moving forward. You actively work to implement the action plan while engaging in ongoing, sustained coaching. Extensive personal development and practice executive coaching support is provided during this period. You use our coaching time to assess progress, review your learning and growth, brainstorm and engage with a strategic thinking partner (your coach). In addition to coaching, your coach may provide resources, act as a learning guide, business consultant, a trusted advisor and confidante, accountability partner, and advocate for your success. 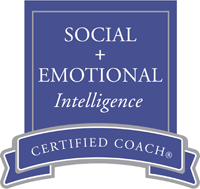 Coaching sessions are typically conducted two or three times a month for 50-55 minutes. Six – 12 month “packages” are also available. Our focus is on your critical priorities, where you are, where you want to be, and your measurable results and success. Most coaching engagements last 6 – 12 months, depending entirely on you and your goals. This ongoing coaching relationship allows you to work through challenges and difficult situations as they come up rather than just have a written plan to follow. Results are far more effective than standardized training or business plans which do not assist in breaking old patterns and making changes in real time/real world scenarios. You control the pace of your progress. During the final phases of our coaching engagement, we jointly review the benefits, and return on investment to you and your organization. We continue to integrate your learning into deliberate actions, and continue to interact as partners in your success. Your coach continues to function as trusted advisor, strategic thinking partner, and champion of your success. We engage in a final review of your learning and growth, analyze and consolidate your gains, and anchor your success as you continue your growth and forward momentum on your own. Confidentiality is guaranteed. All material of a personal nature disclosed during individual sessions is held in strictest confidence. The coaching process is much the same as above, although we generally begin with an initial meeting with key organizational leaders and sponsors in which we gather information about what the organization needs, business priorities, vision, mission and direction. We may begin our work with a pilot program, working with a few key executives, or with a formal assessment that allows us to develop a thorough understanding of organizational strengths, challenges and needs. Whether we are coaching a group of managers, creating a custom leadership development program, or planning an executive retreat, Dr. Belsten works closely with key stakeholders at the top of the organization to define clear goals, strategies and tactics in order to create clear and measurable results.